When somebody has a map framed it almost always has special interest attached to it. We had a couple this week. 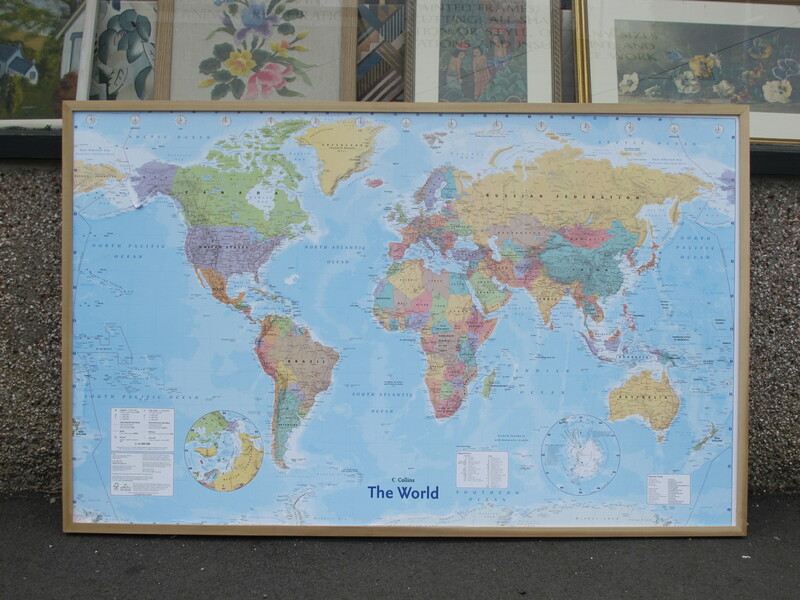 One, The World Map to trace the family journeys and whereabouts. 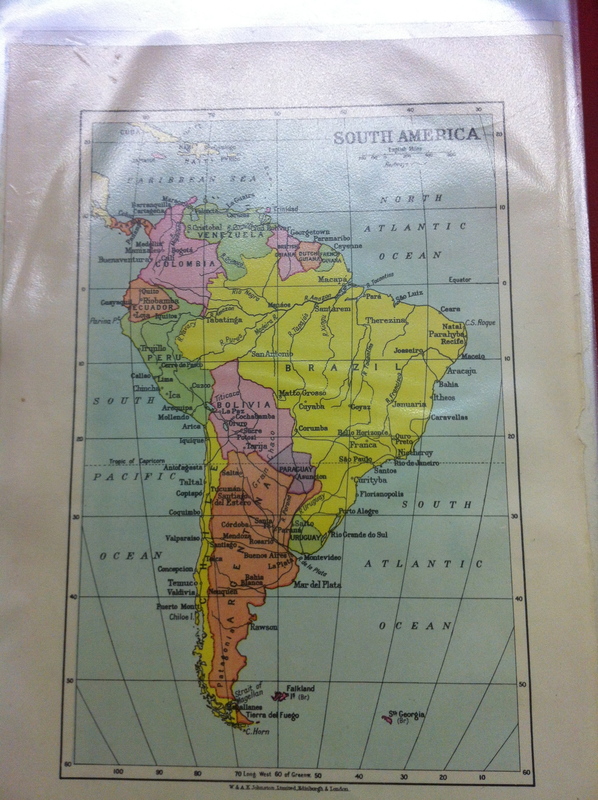 The other, of South America went back to school geography classes.